Want to know what is worth a read in 2019? Kelly Park, the founder of Fertility Smarts, put her mind to finding the best blogs (and podcasts) on infertility, focusing on smaller, newer or undiscovered gems. Inspired by its list of Top Fertility Blogs, Fertility Smarts has rounded up 9 of its favourite fertility-related reads (and 2 listens) for your perusal. Enjoy! Good medical content. 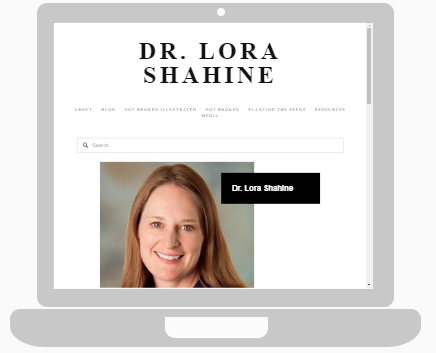 Dr. Shahine writes accessible articles that focus on specific aspects of IVF, pregnancy loss, and overall pre-pregnancy health. It’s almost like that in-depth conversation with your RE that you keep meaning to have. This one cheats a bit because it is a podcast. Erik and Melissa are a couple living in Los Angeles who have deciding to continue on as a family of two post-infertility. Initially, they podcasted anonymously under How did We Get Here, but made the jump into the spotlight with their new podcast Live Childfree. Insightful and honest dialogue. They detail the ups and downs of deciding to resolve infertility by remaining a family of two--what it’s like to live a life that is different than you had imaged and how it’s OK to be different. Listen to: You need to start at least from Episode 1 of their new series. Jennie is a writer and journalist who writes about miscarriage and the “tedium of trying to conceive.” Her experience with recurrent miscarriages has made her unfortunately well-versed on the topic. Beautiful writing (read: heartbreaking). Jennie’s writing style is like the feeling of a cup of tea and a warm blanket on a couch. Much of her work focuses on those dark corners that sometimes get missed in conversations on the topic, but we need to hear more about. Her blog is simply a really good read. Fruitful is an organization that offers infertility mentorship and not a blog per se, but founder Elise Ash is great with words, easily earning a must-read place on our list. Practical how-tos with a side of listicle fun. And what we mean by fun is that there is a good dose of not-so-seriously-framed yet oh-so-relatable content. The 16 Percent was founded by former colleagues Allison, Caroline, and Ariel, who reconnected over shared experiences with pregnancy loss and infertility. They found that healing came through sharing their experiences and The 16 Percent became a safe space to collect and share these stories of longing and loss. First-person infertility and pregnancy loss stories. Framed around a set of questions, individuals offer interview-like answers to topics like How has your experience with infertility changed you as a person? Interestingly enough, there are many different takes offered--and more often than not, it’s not the answer you’d expect. Give this a read: We can’t pick one. Just start reading! Chris and Candace are a husband and wife duo who have navigated some serious health and infertility-related challenges who are currently expecting with their second pregnancy via gestational surrogacy. There is a lot of lightness and (not annoying) hope despite the heaviness of the topics they cover. Also, if you are looking for some #relationshipgoals inspiration, this couple comes across as a true team. Detailed info about an infertility journey - with two perspectives. 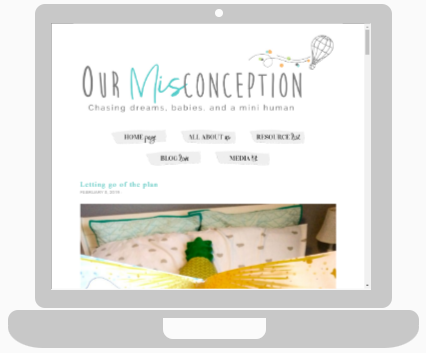 Both members of team Our Misconception offer reflections, making this blog a 360-degree view into their experience. They write about the milestones in their own journey, advocacy issues, and offer informative articles on specific topics (like inducing lactation). If surrogacy is potentially your future (or you want to better understand the process), this blog is a must. 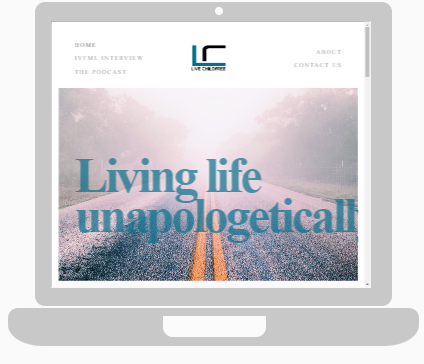 Erica M. MacAfee is a blogger and podcast host of Sisters in Loss, faith-based grief and loss podcast for black women with over 88 episodes focused on stories of miscarriage, infant loss, stillbirth, and infertility. Candid, heartful conversations about loss. She’s tacking the toughest of tough topics--loss. There is no doubt that there is a thread of profound sadness that weaves through the stories she offers, but she is certainly achieving her goal of “replacing silence with storytelling.” Overall, there is an uplifting feeling that you are left with, despite the heaviness of topics. Elisha is a blogger who writes through the lens of her Christian faith, where she pulls back the corners and takes deep dives into those all-the-feels moments of infertility. You are likely to agree with us that this woman should write cards for Hallmark. She’s got that ah-ha thing in her writing. She specializes in those is-this-really-my-life moments that she turns into spot-on reflections. You might find yourself agreeing that you’ve felt what she is writing, even if you didn’t know it at the time. Infertility doesn’t end with a baby. Regina may not be writing as frequently these days, but that doesn’t mean that her years of reflections on IVF, PCOS, and coping with the process aren't worth a read through. Also, she’s shared a lot on the position that “babies don’t cure infertility,” and that the scars of the experience can follow you into parenthood and beyond. The realness of her experience is relatable to many. Kelly Park is the founder of FertilitySmarts.com, an online destination dedicated to helping you get smart about your fertility. From fertility health, to trying to conceive, to experiencing infertility and coping with the process, FertilitySmarts breaks down the tough topics to help you better understand your fertility options. FertilitySmarts can be found on Facebook, Twitter, Pinterest, and Instagram.